AirNav Systems Offers a complete set of flight tracking and monitoring tools. Albrecht Solutions Offers solutions for implementation projects, starting with the analysis of the current business processes and development of new approaches. Clockwork Solutions Provides customers the ability to digest huge amounts of complex data and provide clear answers with its agile analytic infrastructure. Delta TechOps As the responsive Disabled Aircraft Recovery Team from Delta TechOps cruised through the air, the grounded aircraft at the other end of the world awaited the expertise, the thoroughfare approach to get it back in the air.“We provide comprehensive on-wing services to keep our customers’ fleets flying, not just regular MRO Services such as engine and component maintenance,” says Peter Turner, VP, Business Development and MRO, Delta TechOps. EmpowerMX EmpowerMX focuses on bridging tight aircraft maintenance budget allocations as well as the scheduling/un-scheduling actions required to keep revenue-generating resources "airworthy." To counter razor-thin profit margins and remain competitive, today's air carriers are retooling their maintenance operations to maximize efficiency. EXB Solutions Offers services to large and mid-sized companies that build missioncritical and safety-critical embedded application-level software for internal use. 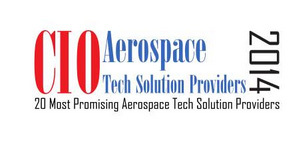 IBS Software Provides comprehensive, end-to-end IT systems to the global aviation industry. Ignis A niche engineering and technology solution provider that delivers innovative solutions and services to organizations worldwide. InfinityQS Helps manufacturers monitor and control product quality from a single facility to an entire enterprise and supply chain. Kaizen Technologies An Information Technology and Engineering Services company. Maureva Finds business technology solutions for the optimization of revenue. Metron Aviation Provides products and services for optimizing air traffic flow. Oceus Networks Provider of broadband services and solutions, including cuttingedge 2G, 3G and 4G LTE mobile technologies. Plataine Technologies Provides production optimization solutions for manufacturers who produce composite components for different industries including aerospace. SimiGon Develops and supplies flexible simulation software used to create several distributed simulation applications in the aviation environment. Ultramain Systems Provides M&E and MRO software products and software implementation services. Visure Solutions A ‘Requirements Lifecycle Company’, specializing in the Requirements Engineering. Zafire Keeps focus on the complete cycle of software development, implementation and project management.